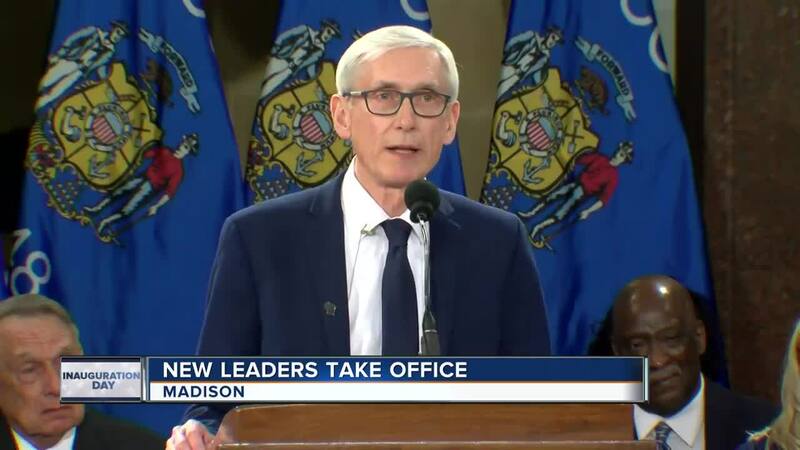 It was a largely non-partisan day at the Wisconsin State Capitol as Democrat Tony Evers was sworn in as the state's next Governor. Many of Evers' supporters gathered in the Capitol rotunda to watch his inauguration. "It's hard to describe," said Kesha Packer, from Milwaukee. "It's real emotional." Packer said she's excited about Evers' professional background, as an educator, and what it could mean for the state. "He's coming from experience dealing with kids," Packer said. Evers supporters Sarah Amundson and Peter Shireman, both from Fond du Lac, said they enjoyed watching the swearing-in process. "It's just great to see government in action," Amundson said. Also in the crowd was Milwaukee County Executive Chris Abele. Abele, a Democrat and Evers supporter, said he thinks the new Governor will take the state in a positive direction. Abele acknowledged that divided government can often be dysfunctional. 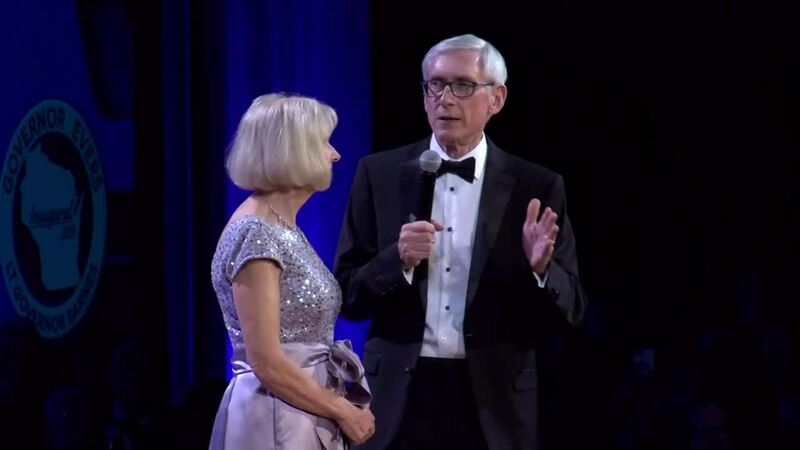 Evers will need to work with GOP majorities in the Senate and Assembly. But Abele is hopeful the state will continue to run smoothly. "I'm not worried about us falling into the sort of gridlock that you see in Washington right now," Abele said. Republican Senate Majority Leader Scott Fitzgerald (R-Juneau) said he spoke to Evers following last month's lame duck session of the legislature. "We had a discussion about moving forward, and the budget process, and some other things," Fitzgerald said. He agreed with Abele that there's reason to be optimistic about a divided state government. Fitzgerald said the new Fiserv Forum in Milwaukee is an example of what's possible through bipartisan cooperation. "I think that model can serve us well and I think we will use that going forward," Fitzgerald said.